I've been craving crappy food, like ice cream, christmas pudding and laminations. Probably shouldn't be hoovering up vast quantities of sugary goodness right now so I made some nut balls to fool myself in the treats department. Prunes, nuts, oats, a tablespoon of rice syrup and a a big whack of cocoa and these little guys hit the spot. 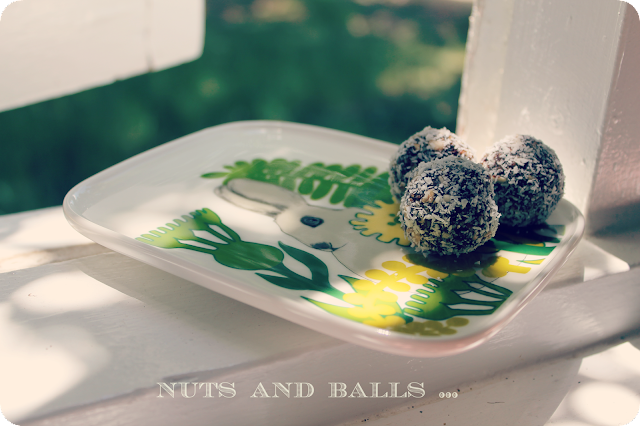 I'd still run over a nana for a real rum ball, but for now I'll stick to these faux balls.